Those with a passion for engineering will be pleased to know that the demand for highly skilled engineers is greater than it has ever been. However, whilst engineering, in the broadest sense of the word, has been around since the Industrial Revolution in the UK over 250 years ago, the focus has shifted significantly from solely a heavy emphasis on manufacturing all those years ago to now also embrace many of the latest cutting-edge technologies which have been incorporated into engineering as the result of technological innovation and the increasing reliance upon I.T. e.g. CAD design engineers. The way the world has changed and continues to do so with regards to issues like global warming, energy production and new roads and buildings to name just a few ensures that engineers across all sectors will be much in demand for the foreseeable future. There are several routes into engineering but your options will depend on what you want to do and the level to which you wish to progress to. There are NVQs available which enable you to combine academic or vocational study whilst still working as an apprentice. This could also lead on to pursuing higher qualifications later. When it comes to college or university, good A levels in maths, a science and an IT related subject is likely to stand you in good stead then there’ll be 3 broad options you’re likely to wish to consider. 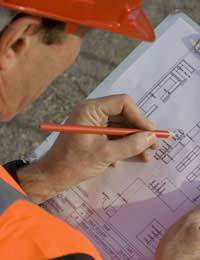 To work as an engineering technician, you’re going to need to study to at least HND level or its equivalent. Then, if you want to become an incorporated engineer within your chosen field you’re likely to opt for the most relevant degree course which will usually include some form of extended work placement. To aim even higher, however, will require you to achieve chartered engineer status which means that it will be likely that you’ll also need to go on to postgraduate study to achieve membership of the institute which is related to your chosen specialism. The demand for high quality engineers across all sectors both here and abroad has never been greater and you will be presented with so many options. You may end up working for either a small or large multinational company or you might wish to set yourself up as a freelance contractor or consultant. There’ll be work within local and central government and within the armed forces - in fact, there are very few industries which won’t have to rely on the services of an engineer in some shape or form. You might even choose to take your skills abroad. Whilst you’ll need to be highly trained to become a skilled engineer in whatever discipline you choose to focus on, to be really successful in your profession, you’ll also need to be able to work as part of a team and be able to communicate your ideas to others. The breadth of the range of engineering disciplines is immense. You can choose from electrical and electronic engineering to mechanical, civil and structural, engineering relating to the chemical, mining and energy industries as well as defence and aeronautical to name just a few. Hi. I am a 30 year old with his own business. I would say I have some knowledge on electronic repairs, but would like to retrain to gain the qualifications and skillset to advance my own skills. How would I go about this??? There are plenty of engineering that offer courses with flexible study. Therefore, you may wish to contact your colleges and/or universities in your locality. Hi, I am in my early 50's and teaching Biology, Environmental Science and any science to 16. I have a BSc in Zoology, an MA in Learning and Technology and half a masters (15 credits) in Maths. I could take time off to train, but probably not 3 years! I am interested in marine engineering and working on ships, but open to all ideas. I am keen to move to something more "hands-on" and practical rather than cerebral (and involving kids, bless 'em!) Any ideas? If you wanted to change to become an electrical engineer (there are several disciplines) then you can see the route you would need to take via the National Careers page here. I hope this helps.